An epidemic of falsehood is upon us. It seems fake news is everywhere contaminating our minds, clogging our mental pathways. News has always been fake to some extent, agendas and bias have been and still are an integral part of what is naively assumed to be an objective correspondence of reality. Can we fight back? In order to try and answer this question, we must revisit the notion of truth. The English word true comes from Old English (ge)tríewe, tréowe, existing in other Proto-Germanic forms in the sense of “having good faith”. The notion of truth is often cognate to “steadfast” (e.g. “steadfast as an oak”, as in Sanskrit “taru” — tree), or as in the archaic English troth which stands for “loyalty, honesty, good faith”. Thus, truth involves both the quality of “faithfulness, fidelity, loyalty, sincerity, veracity” and that of “agreement with fact or reality”. The philosophical quest for the exact definition of truth has been a long one, resulting in a multitude of theories none of which is a complete one. Mathematics and formal logic have also taken a stab at the notion of truth in its more restricted form, same for psychology. One would expect that these centuries-old efforts would provide at least some agreed upon definition of this seemingly intuitive concept. Alas, they have not. Which leaves us with a fundamental and troubling question. We could not possibly cover the entire corpus of philosophical and mathematical thinking concerning the concept of truth in one article. Thus we would only touch on some of the major milestones both as a segway to our own assertions on the subject and in hope to entice the reader into continuing this tremendous feat on her own. Having said that, let us try to provide a taste of what truth is all about. Immanuel Kant endorses a definition of truth along the lines of the correspondence theory of truth. Correspondence theory centers heavily around the assumption that truth is a matter of accurately copying what is known as “objective reality” and then representing it in thoughts, words and other symbols. Many modern theorists have correctly pointed out that this ideal cannot be achieved without analyzing additional factors, such as language. Kant writes in the Critique of Pure Reason: “The nominal definition of truth, namely that it is the agreement of cognition with its object, is here granted and presupposed”. However, even Kant denies that this correspondence definition of truth provides us with a test or criterion to establish which judgments are true. Truth, it is said, consists in the agreement of cognition with its object. In consequence of this mere nominal definition, my cognition, to count as true, is supposed to agree with its object. Now I can compare the object with my cognition, however, only by cognizing it. Hence my cognition is supposed to confirm itself, which is far short of being sufficient for truth. For since the object is outside me, the cognition in me, all I can ever pass judgement on is whether my cognition of the object agrees with my cognition of the object. A different way of tackling the essence of truth is provided by the coherence theory, the latter states that the truth of any (true) proposition consists in its coherence with some specified set of propositions. Although the coherence and correspondence theories are fundamentally opposed in a way, they both present a substantive conception of truth. One of the many objections was presented by Russell (1912). According to this objection, any talk about coherence presupposes the truth of the laws of logic. For example, Russell argues, to say that two propositions cohere with each other is to presuppose the truth of the law of non-contradiction. In this case, coherentism has no account of the truth of the law of non-contradiction. If, however, the coherence theorist holds that the truth of the law of non-contradiction depends on its coherence with a system of beliefs, and it was supposed to be false, then propositions cannot cohere or fail to cohere. In which case, the coherence theory of truth completely breaks down since propositions cannot cohere with each other. In layman terms, an objective truth (such as the assertion that the earth is spherical rather than flat) existed even when all minds were convinced it is flat. The objective truth existed regardless of the (then) false belief considered to be true. Among the current advocates of consensus theory as a useful accounting of the concept of “truth” is Jürgen Habermas. Habermas maintains that truth is what would be agreed upon in an ideal speech situation. This principle is exemplified in the Islamic tradition, by the hadith in which Muhammad states, “My community [ummah] will never agree upon an error”. But maybe we should be taking the pragmatic road. The three most influential forms of the pragmatic theory of truth were introduced around the turn of the 20th century by Charles Sanders Peirce, William James, and John Dewey. Although there are wide differences in viewpoint among these and other proponents of the pragmatic theory, they hold in common that truth is verified and confirmed by the results of putting one’s concepts into practice. This statement stresses Peirce’s view that ideas of approximation, incompleteness, and partiality, what he describes elsewhere as fallibilism and “reference to the future”, are essential to a proper conception of truth. Although Peirce uses words like concordance and correspondence to describe one aspect of the pragmatic sign relation, he is also quite explicit in saying that definitions of truth based on mere correspondence are no more than nominal definitions, which he accords a lower status than real definitions. William James‘s version of the pragmatic theory, while complex, is often summarized by his statement that “the ‘true‘ is only the expedient in our way of thinking, just as the ‘right‘ is only the expedient in our way of behaving.” By this, James meant that truth is a quality, the value of which is confirmed by its effectiveness when applying concepts to practice (thus, “pragmatic”). As Feynman noted, an idea or theory “… could never be proved right, because tomorrow’s experiment might succeed in proving wrong what you thought was right.”, Similarly, James and Dewey’s ideas also ascribe truth to repeated testing which is “self-corrective” over time. But just when we thought we finally nailed the notion of truth, comes in Foucault and messes up everything. Truth, says Foucault, is problematic when any attempt is made to see it as an “objective” quality (he prefers not to use the term truth itself but “Regimes of Truth”). In his historical investigations, he found the truth to be something that was itself a part of, or embedded within, a given power structure. Thus Foucault’s view shares much in common with the concepts of Nietzsche. 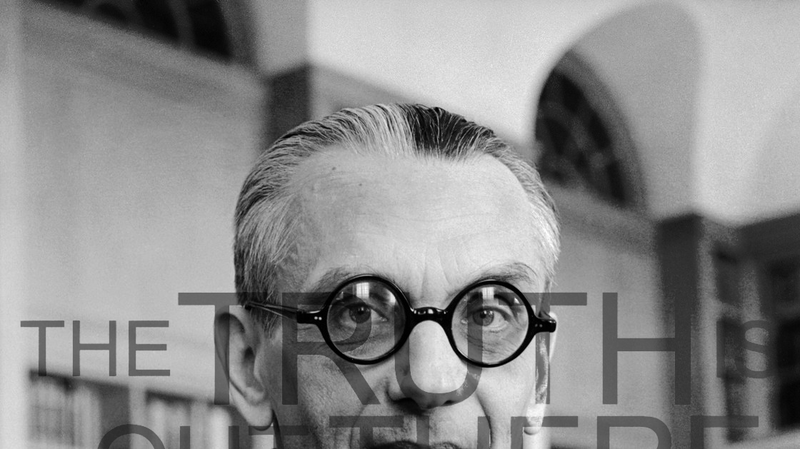 Truth for Foucault is also something that shifts through various episteme throughout history. And maybe truth is nothing but the illusion created by our biological learning process. Maybe it is simply the sum of our individual experiences. We know the world by example. Our brains are continuously accepting new inputs, putting them into order. In that sense truth, as one sees it, is nothing but a statistical learning process where all empirical facts are placed into a consistent model. When new contradicting data comes in, the model re-fits to generalize its knowledge of the world. An endless corrective process where truth is only valid for as long as it correctly models data insofar. Truth, thus, becomes synonym with knowledge (of the world). It seems Foucault was partially right. We never have an objective mapping (model) of the world, rather a narrative (current model) of what we perceive it to be. This applies to both physical evidence but also and in more strength to our mental states decoupled from a correspondence-like relation to the world (e.g. political opinions). It is interesting to note that this mathematical view of the notion of truth is supported by a much earlier approach. In his 1947 “Man from Himself: An Inquiry into the Psychology of Ethics”, Erich Fromm finds that trying to discuss truth as “absolute truth” is sterile and that emphasis ought to be placed on “optimal truth”. He considers truth as stemming from the survival imperative of grasping one’s environment physically and intellectually, whereby young children instinctively seek truth so as to orient themselves in “a strange and powerful world”. The accuracy of their perceived approximation of the truth will, therefore, have direct consequences on their ability to deal with their environment. Fromm can be understood to define truth as a functional approximation of reality, much like modern machine-learning and AI do. A practical notion we utilize in our everyday lives. As stated earlier, the discussion regarding the notion of truth is centuries old, and probably would go on for centuries to come. We, however, seek a practical, functionally-useful definition of truth. One that helps us decide which political party to vote for, is the information we just consumed via our favorite social network is true (or yet another spin), or even guide us through the maze of economic data analysis on the evening paper based on which we are going to make up our minds whether it is the right time to buy a house. The reader (safely assuming you live in the 21st century) is probably familiar with the problem of making up one’s mind about anything while navigating the constant turbulence of hard facts, semi-true facts, misinformation, and damn lies. Not so long ago it was much simpler. The average early 20th-century person had his morning newspaper (whose reporters prided themselves in being first and foremost, fact checkers), his local community gossip, and sometimes a newsreel from overseas. What made this early 20th-century person feel she had an easier time shaping an opinion? The answer is: she had much less data, and her consensus network was highly localized. When you live in a small community, one that keeps to itself, where everyone knows almost everybody, you get your news over the local gossip network. External information is rare and usually gets quickly disseminated through the local network of friends, family or chapel-goers. Should any controversial data about the world enter the local network, it would be quickly discussed throughout the local community, then rejected or accepted (partially or in full). This does not mean of course that everyone must hold the same opinions, rather that what is considered to be true is agreed upon by most community members. The community has processed the data and reached a wide consensus of what is considered to be truthful. One may argue that even small communities may not come to such a consensus, however that contradicts the very definition of small communities. Should a small community break away from consensual behavior patterns it would not survive in its current form, and most likely break up into a number of like-minded smaller groups. Small communities allow the like-minded to form their local version (narrative) of truth. One that fits their social structure, beliefs, and opinions. They do not care whether their version of the truth is the objective one (if there ever was one), nor should they, as their consensual-narrative functionally serves them without inner conflicts. But we are not living in small, segregated, communities anymore. Not at all. Ever since social networks came to be we are all part of a global information community. Flooded with information coming from multiple sources, some benign other malicious, none of which are trustworthy, all trying to set our view of truth (usually in their favor). Reporters and news people have almost completely abandoned what once has defined them as such, namely fact-checking, and have become click-baiters rushing to publish anything without a proper cross-check else they would be made irrelevant by their peers who would publish first. The mere size and complexity of the information community do not allow even the sharpest minds to differentiate facts from rumor, fake from true. It would simply take too long, or may even not be possible with the limited resources each of us has, which renders all of us narrative-less, misguided and easily manipulated. Functional truth has become unattainable. Sweeping the rug under our most basic ability to make educated rational decisions. We are swayed in an ocean of utterances with no northern star to guide us anywhere near the Isle of truth. Are we doomed (to live this way)? As always the solution may be right in front of us. As stated earlier practical truth requires consensus, which basically means the majority of people have been exposed to a set of utterances, designating them as widely believable within a reasonable amount of time (else it become impractical and unuseful). To implement the above on a large-scale we must build a consensus network that would carry the enormous amounts of data generated by modern societies, publish them to a large enough group of people, and make sure the ones with the most merit (i.e. aggregated reputation of being truthful over time) are weighted higher than others. In a sense, we suggest creating a non-democratic information meritocracy where reliable people get a higher vote on what is true. This is the complete opposite of modern democracy where everybody is equally weighted when it comes to popular vote, and not without its drawbacks, however, it is much better than the current failing democratic model (more on that in our next article) which, over the last few years, has proven itself to be inadequate and manipulatable. Moreover, we now have the technology allowing the creation of rapid consensus networks that can carry immense loads on a planetary scale. In the words of Mulder and Scaly, the truth is out there. Originally published at colderlazarus.me on April 14, 2019. I ride motorcycles, gaze, and solve hard problems. I am fascinated with all things data, culture and philosophy. Publishing the "A Colder Lazarus" magazine.